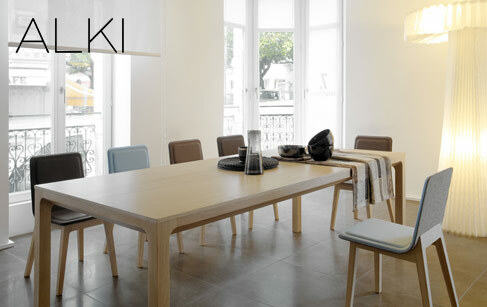 As a cooperative Alki is committed to its environment through local production and producing high quality furniture that is meticulously finished with natural and ecological material. This Basque-based enterprise has been producing contemporary furniture since 1982. It is clear that their imprint in the world of design can be felt at home or abroad, in commercial spaces or something more intimate, like the Parisian restaurant Saturne. The Laia series with seating and tables is an excellent example of Alki's blend of tradition and modernity without any notion of pretence that is a perceptive combination of reflection, quality and, most of all, respect.